Lombok is by itself a unique travel destination with its magnificent nature and varying topography. 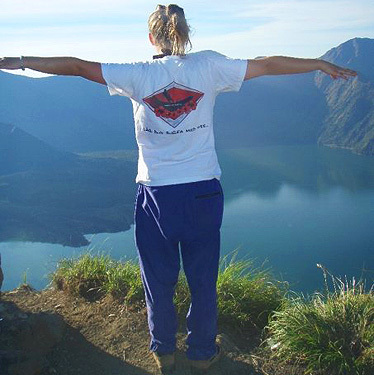 In addition to surfing there is a lot of great trekking and diving around Lombok. 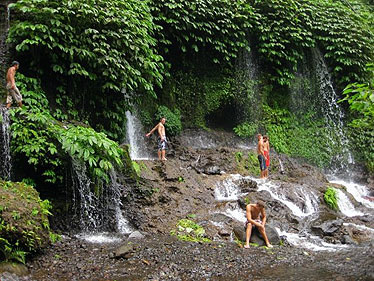 Lombok is situated five hours by boat, or 20 minutes by airplane east of Bali in Indonesia. In size Lombok is almost the same as Bali, and has varied nature with a huge volcano, rice paddies and long sand beaches. A lot of people have heard of Lombok because of the Gilli islands which are a popular destination among backpackers for diving and partying. Southern Lombok is not as exploited, there is a saying that it resembles how Bali was 20 years ago. You can find travel information in the PDF "Arrival information" under Booking & Contact. 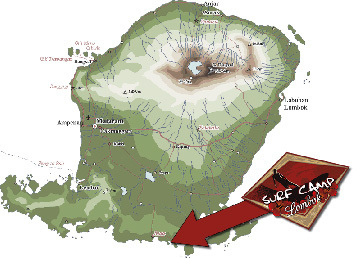 Surfcamp Lombok, Learn to surf on Lombok, the Island right next to Bali!